Looking for something different unique for your school’s fundraiser? Great for booster clubs, school teams and more. 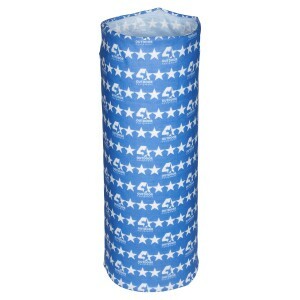 Seamless “tube design” easily twists and folds into many configurations, made from 100% polyester microfiber that is soft, breathable and durable! The Huggle is machine washable and dryable. 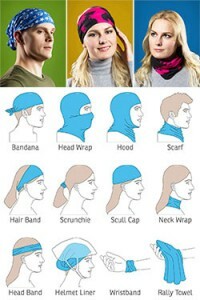 Here’s some of the many ways to wear the Huggle: Bandana, Head Wrap, Hood, Scarf, Hair Band, Scrunchie, Scull Cap, Neck Wrap, Head Band, Helmet Liner, Wristband, or Rally Towel. Item size is 9-3/4″ x 19-1/4″ (imprint area is the same size). 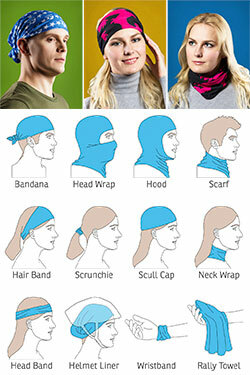 Huggle can change into a scarf, head scarf, rally towel, scrunchie and more. Great fundraiser. The State Champions are ready to take your promotional products order, or answer any questions you might have regarding becoming a dealer.